Remember the Dot Bomb Era? Loads of lousy business models were created that could raise investment capital because they had an E Commerce web site attached. Most of these businesses failed. Many turned out to be just bad business models, but most were not backed up with the basic critical components of good distribution and customer service. I used to marvel at the fact that a new catalog web site expected me to put my credit card number into a web page to order merchandise and there was no 800 number to call for customer service if I needed it. These models were doomed to failure. On the other hand look at the success of Amazon. No doubt, the components of distribution and customer service were there, but Jeff Bezo’s had another thing right from the very start and that was “on line reviews”. In fact on line reviews were part of the original business model. 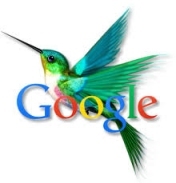 Enter Google and Hummingbird. For the longest time, getting to the top of Google legitimately was done by leveraging brute force metrics like keywords in site content and URL, back links, and acquisition of a mature URL that was relevant. Advertising in traditional vertical advertising channels that drove direct traffic to the site was measured too and factored into the equation. Up to this point, most of the measurements were crude and were global in nature, not really profiling the sites based on the preferences of the individual and their sphere of influence and trust. I used to ponder over a decade back how search engines were going to resolve the problem of “there can only be one”. One at the top that is. Now with Hummingbird, no individual is getting the same search results for the same query. Google is profiling the seeker to provide the best results for that individual. A big part of this equation as you market your business is having a quality target audience for which your message is relevant. That audience and the folks that are networked with it will be the most likely to see your site come up in search results. Good on line reviews from that audience take it a step further. Is this anything new? No! We have always trusted a referral from a friend, family member or relation more than anything else. In small towns the town square has always been there, but now on line it is has come back everywhere through places like Facebook, Google, Pinterest and Twitter.